An unidentified woman yesterday dropped a four to five month old baby on the road and left a note to anyone who wanted to adopt the child. 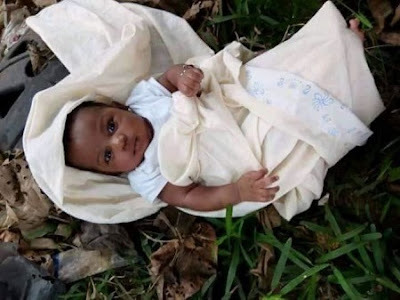 The woman from the Kabwe region of Zambia reportedly dropped her baby girl in a nearby bush with a note that she was tired of life and could not stand it anymore because she was coming from a poor environment. The child named Purity was later discovered by passersby after nearly 3 hours of dropping by the mother. "I have reached a point where I have to give up my daughter, I have not received any support from the father or the family, I am poor and I hope that a good Samaritan will adopt it, His name is purity. God bless you, "wrote the mother of the abandoned baby.